Many Mexico dentists are kind, honest, and competent. Their practices are like copies of your local dental office, except they are more affordable. The biggest healthcare savings secret is out: travelling to Mexico for affordable dentistry. CBS and USA Today recently printed stories about saving on your dental cost by going to a Mexico dentist. Snowbirds and seniors have been seeing Mexico dentists for the past several decades. Nowadays, people from all backgrounds travel for dental tourism. Some patients can’t afford their local dental bill. Some just want to avoid taking loans or spending their savings. Mexico dental patients include young men and women, families, active adults and seniors. We help people of all income levels, from fixed income retirees, students, families, entrepreneurs to high-income CEO’s. We helped Robert, a successful CEO, get full mouth restoration in Los Algodones Mexico. Don’t get us wrong – it is a lot more convenient just to go to your local dentist a few blocks away. But many of us can’t afford that convenience. Or simply, we just want to be money-conscious. You can save thousands by going to a dentist in Mexico for the same procedure. Many people who need full mouth restoration can save $25,000 to $40,000 on their dental cost. You can save 50-70% on the cost of your dental work with a dentist in Mexico. You can save $3,500 with a single tooth implant and crown alone. Need a same day root canal in Mexico, you can save $800. Looking to get dentures, you can save $1,350. But the big lure of going to a Mexico dentist is when you need major dental work. Examples include several dental implants, dental bridge, extractions or porcelain crowns. These savings pile up to enormous savings – by several thousands of dollars. Some US dental quotes are immense – such as $40,000, $60,000, or even $90,000. It makes you wonder, who can afford these dental bills? You can avoid taking high interest loans or second mortgages on your house, like some of our clients. Someone even bought a new car with her $23,000 in savings from full mouth dental implants. Additionally, you can get dental work with a Mexico dentist in Cancun. Even with the extra expenses of your dream vacation, you still save money. Get an estimate with your local dentist first. You can compare USA vs Mexico dental prices when you know what you need. Your savings will be in the thousands if you need major procedures. But, you may not offset your travel costs for minor procedures, like cleanings or fillings. The majority of dental practices in the US or Canada are single dentist practices. There is only one dentist working in the dental office. This becomes a challenge when you need major dental work. If you need a root canal, your dentist would first need to refer you to an Endodontist in a different clinic. Many people have to wait at least of 1 or 2 weeks to get a root canal appointment with an Endodontist. Likewise, your dentist would have to refer you to a periodontist if you need wisdom teeth extraction or periodontal work. Some parts of the US or Canada don’t even have a periodontist in their rural area. It’s a big challenge. Some US or Canadian dentists perform dental work that can be best performed by a specialist. Common examples include root canals, full mouth crown restoration, periodontal treatments, etc. “Do it all” dentists may yield mediocre results. 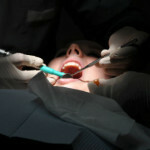 Many top Mexico dentists practice in dental groups. It means you have all the specialties in one dental practice. The root canal specialist can work on your root canal right after your Mexico dental consultation. Dental implant patients benefit from having an implant specialist, periodontist, and prosthodontist in the same dental practice. The bottom line – you get faster and better results when you have all the specialists in one Mexico dental practice. Schedule an appointment with specialist if you need specialty dental work – such as periodontal disease, full mouth reconstruction or implant dentistry. You get a 5 Year Guarantee from any dentist in the Dayo Dental Network. It’s part of the strict requirement to be part of the Mexican dental network. Most US or Canadian dentists don´t explicitly guarantee your dental work; it’s not common in the US or Canadian dental industry. If something goes wrong immediately after your dental work, they fix it. But if your dental work fails after one year, you may have limited recourse. We had a client named John who paid $5,800 – for a 4 unit bridge and a root canal – to an Arizona dental chain. He financed it since he didn’t have the money to pay for the procedure. The dental bridge failed after 8 months. The dental chain practice refused to redo the work unless he pays for a new bridge. Not only is he stuck with a faulty dental work, he is also stuck paying for the $5800 that he financed. He redid the same dental work with a Mexico dentist and paid only $1660. In contrast, Mexico dentists typically provide a 1 to 3 year guarantee on your dental work. You get a five-year guarantee with all the Mexico dentists in the Dayo Dental Network. You get peace of mind when you know that your Mexico dentist stands behind the quality of your dental work. You won’t be out of recourse in case something happens. And at Dayo Dental, we even help you as an advocate with guarantee claims. Is it easier to make an emergency dental appointment in Mexico. You can even drive the same day to get your dental work done. Did your crown fell off? Do you need a root canal right away? Need to complete your cosmetic dental work before your wedding? It´s a lot easier to get a dental appointment with a Mexico dentist. Why? Because Mexico dentists work more hours – a lot more hours. They work Monday to Friday from 8:00 AM to 6:00 PM. Then they work Saturdays from 8:00 AM to 2:00 PM. In contrast, many US dentists work 3 to 4 days. Appointments are limited. In some parts of the US or Canada, there are simply not enough dentists. It could take your months just to get a root canal appointment with a specialist. It’s difficult for you to get an immediate dental appointment. There are a shortage of dentists and limited appointments. Do you need emergency dental work? It´s easier to get an emergency dental appointment with a dentist in Mexico, especially if you are within driving distance. They can usually take care of your root canal or extraction the same day. Get rid of your dental pain faster and cheaper in Mexico. You can get dentures in Los Algodones within 2 days. You get impressions and measurements the first day. The next day, you get your final dentures. The cost of dentures in Los Algodones: $260. Compare that denture cost with $1500 to $2000 in the US. Have you ever been to a top dental practice in Mexico? The efficiency is just remarkable. Let’s say you need a dental cleaning, a root canal and crown, some fillings, and 2 dental implants. You show up for a consultation on a Monday with a dental group. You begin at 8:00 AM with the consultation with your main Mexico dentist. If you agree with the recommendation, the dentist can usually start the work the right away. Here’s how it goes. At 9:00 AM, they take a CT scan. Then the endodontist will take over to work on your root canal. At 11:00 AM, your main dentist works on your fillings and cleaning. At 12:30 to 2:00 pm, you can go have lunch and rest your jaw. At 2:00 PM, they work on your crown impression and preparation. At 3:00 PM, the periodontist will take over to place the 2 dental implants. By 4:30 PM, you walk out with all your temporary teeth. You still have time to relax and rest for the afternoon. All this in one day. Imagine having to set appointments at 3 different offices locally. You set an appointment with your general dentist, who refers you to an endodontist. After, you set a separate appointment with a periodontist for the implants. Then finally, after 3 weeks, you go back to your general dentist for the crown preparation and impression. It’s exhausting! How can dentist in Mexico work so fast? Because they have all the specialists in one clinic. Plus, their dental assistants are typically dentists. The assistant dentists can help with less critical work, like taking impressions or administering local anesthesia. The main Mexico dentist focusses on critical work. With more dentists, you get dental work faster. Their dental labs also deliver the work faster. You can even travel to a Mexico dentist in Cancun for a one week smile makeover. It´s amazing what 1 week can do. Mexico dentists that cater to dental tourism patients set up highly efficient practices. They know that you live far and you can’t stay long. Efficiency and fast turnaround is crucial. Yes, you get your dental work done faster in Mexico. But, avoid demanding rush dental work beyond the dentist´s typical timeframe. This may tempt your Mexico dentist to use lower quality labs or skip proper dental protocols. One of the pros of seeing a dentist in Mexico is that you are not rushed. Have you ever had a dentist sing an opera song for you while you are in the dental chair? Yes, Dr. Ceballos in our network is occasionally shows off his opera voice at the dental chair. That´s the thing, you don’t feel rushed when you see a Mexico dentist. Consultations and appointments are usually set at least 45 minutes to 1 hour. Dr. Espinoza in Nogales sets his consultations for 1 hour and 30 minutes. These include a one-on-one comprehensive presentation about your treatment plan. He creates a study model of your teeth – made during that appointment. Dr. Carrasco provides you his personal cell phone number during your stay in Cancun. He makes himself available 24-7 during your dental vacation. These are some of the top Mexico dentists that are fully booked throughout the week. But they still spend a lot of time with their patients. Contrast that with US dentist. The most common booking system used by US dentists is Dentrix. Dentrix sets appointment times in 15 minute increments. Consultations are usually 15 to 30 minutes. It doesn´t give the dentist enough time to chat and get to know you. Even US dentists admit this is tiring for them. But often, this is what their offices demand, especially if they don’t work 5 days a week. Keith, one of our friends, became a fan of a pediatric dentist in Scottsdale, Arizona because the dentist stayed and chatted with them for a while. He said that’s uncommon. Prepare and write down a list of questions for your dentist in Mexico. Get all your questions answered during the consultation before you agree to any dental work. Dentists in Mexico get it – you want to know the dental prices in Mexico before you travel. You won’t travel without an estimate on how much your dental work costs in Mexico. Many Mexico dentists post their prices on their website. If not, you can call them over the phone; they will readily give you their dental prices. We post our preferred (lower) prices in our website: Mexico Dentist Prices. With Dayo Dental, you pay a lower price than what the dentist charges. See some featured Mexico dentists here: featured Mexico dentist. You can also call us to discuss your dental work in more detail so we can give you a Mexico dental quote. You can also send X-rays for pre-evaluation by the Mexico dentist. In return, you get the estimate prices and recommendations of the dentist. It’s easier to compare costs and make an informed decision if you have the dentist’s prices. American and Canadian dentists don’t readily provide you their dental price list. They also reluctantly give you estimate dental prices over the phone. They want you to come in for initial consultation first. How many dental offices visits do you have to make to survey the costs of dental work in your area? It´s a bit impractical. Call your Mexico dentist to get some estimates over the phone. This will help you avoid any dental cost surprises while you are in Mexico. The best advantage of dental tourism: you get a Mexican dental vacation. The lure of dental tourism: an ultimate vacation on white sand beaches. Imagine it’s so cold in Minnesota in the middle of winter time and you have a big job interview coming up. You want to fix your teeth to make a good impression. But you received a dental quote of almost $10,000 worth of dental work by a couple of dentists. You can’t afford it. Should you brave the snowy weather and go for more consultations to find a cheaper dentist in your area? How about travelling to Cancun, Mexico? You can get the same procedure by going to Cancun for 1 week at only $4500, including travel costs. Plus you get to bring your wife on the dream vacation that both of you have wanted for a long time. It´s a huge win, and you go back with some extra cash from your savings. You can also explore the southwest United States when you visit dental tourism destinations across the border. Check out in Tijuana, Los Algodones, Nogales or Juarez. Head to the beach in San Diego. Soak in the yearlong Arizona Sun. Visit Texas´many tourist attractions. Send your x-rays to your Mexico dentist before you go on a dental vacation such as Cancun. You’ll get a dental quote before you travel. The dentist will also know how to organize and block your appointments during your stay. Here are some tips for going to Cancun for dental vacation: Mexican Dental Vacation. “Dayo Dental would not go mainstream,” according to investors during our pitch 10 years ago. They said that most people would not want to travel that far to Mexico to get dental work. HDNeT World Report Video: Americans travelling to Mexico for dentistas. Dayo Dental was featured together with clients going to Algodones for Mexico dentistry. It turns out they were wrong. Now, dentistry in Mexico is the second option for most Americans for affordable dentistry. I guess if you have millions in your bank account, you can easily afford getting dental work in your neighborhood. But most of us don’t have extra $5,000 to $10,000 for unplanned dental care. Yes, it is inconvenient to take a 3 hour drive to the border or to take a flight for dental work, especially if you have to make more than one trip for dental work in Mexico. But if the savings are tremendous for your case, seeing a Mexico dentist is definitely worth the travel. You are still saving several thousands of dollars, even if you add travel costs. Choose a Mexico dentist that is closest to your city to lower your dental travel costs. Map out the following top Mexico dental places: Los Algodones, Tijuana, Cancun, Nogales, and Juarez. The best Mexico dentist. speak English fluently. Communication is vital in dentistry. It gets frustrating when your dentist in Mexico doesn’t speak English well. You may also find it annoying when your Mexico dentist and his assistants speak in Spanish during your dental work. Fortunately, many dental tourism dentists build their practice to cater to Americans and Canadians. That means they have English speaking dentists and staff. It doesn’t eliminate the annoying use of Spanish during your procedure. But you can have a good conversation with your Mexico dentist and his staff during your appointments. Almost all the dentist in the Dayo Dental Network get 90% of the patients from the US or Canada. Hence, the dentists speak fluent English – it´s one of the top requirements. Select a Mexican dentist that speaks good English. It’s hard to trust and be confident with your Mexican dentist if there is a big language barrier. Full mouth implants require an advanced level dentist. Be sure to scrutinize the credentials of your dentist in Mexico before getting major dental work. Don’t assume that your Mexico dentist is qualified to perform your dental procedure just because he is a licensed dentist. All it means is that your Mexico dentist went for 4 years of dental school and 1 year of social service. Could you assume that a new periodontist or maxillofacial surgeon can perform All on 4 dental implants or other major implant procedures? Many periodontist and oral surgeons in Mexico have installed less than 10 implants by time they graduate from specialty school. They have to get extra training for major dental implant surgeries such as All on 4. Is a prosthodontist better than another general Mexico dentist for your full mouth reconstruction? Not always. Prosthodontist probably do 3 or 4 full mouth restorations during their 2 year specialty school. What if your general Mexico dentist had already performed hundreds of them? Many Mexico dentists advertise membership with the ADA (American Dental Association). All it means is that they have a valid dental license and they pay their ADA dues. It doesn’t mean that the ADA pre-screened them or monitors their dental work. Anyone with a valid license can be a member. What counts is years of experience AND training AND ethics. Unfortunately, some Mexico dentists perform dental care procedures without the proper training. This is why Mexico dentists get a bad reputation from US dentists. Those that received bad dental work from Mexico go back to their US dentist to fix it. USA dentists also don’t see the majority that received good dental care from Mexico. The patients either don’t tell their local dentist or don´t go back after discovering the cheaper dentistry in Mexico. At Dayo Dental, we help match you to a Mexico dentist based on the experience and training level required for your dental work. Plus, we track your dental case from start to finish. We make sure that your dentist is honest and competent with prices and recommendations. Who is the dentist performing the procedure? What is his training and background? Does he specialize on my procedure? Most dental crowns can’t be delivered the same day, even using the most modern CAD/CAM Dental Milling machine (above). Don’t request same-day crowns, because you may get low-quality crowns in Mexico. Ask if your dentist has CEREC, which can deliver same-day crowns. Yes, quick dental care is a major plus for Mexico dentistry. But rushing your dental work should not happen at the expense of quality. Some Mexico dentists promise fast procedures just to gain your business. At times, they skip proper dental protocols or use low-quality and fast dental labs. Some offer same day crowns or next day crowns when they don’t have the proper equipment, such as CEREC or 3D CADCAM Milling Machine. These technologies produce these types of fast-delivery dental crowns. Instead of requesting an extra trip, some dentists skip a step on your dental implant placement to lessen your number of visits. How can you avoid this issue? Go to a high quality dentist and don’t request rushed dental work. The best Mexico dentists won’t compromise on quality. They would rather ask you to stay longer or make extra trips to complete your dental work. If you rush your Mexico dentist, it might tempt him to skip steps just to meet your requirements. It is best to follow your Mexico dentist if he asked you to stay longer or to make extra trips to complete your dental work. This is true especially if you need full mouth dental work such as with dental implants and crowns. The best dentist in Mexico get regular continuing education, even though it is not required. USA and Canadian dentists have to take a minimum number of continuing education hours (CE) every 2 to 3 years to maintain their license. If forces them to remain up-to-date with their skills and knowledge. They also learn about the advances in dentistry. Dentists in Mexico are not required to take continuing education courses throughout their career. Once they have their license, they don´t need to renew it. This is disadvantage for those Mexico dentists who don’t invest in continuing education courses. You may have a dentist that has 20 years of experience. But if the last continuing education course he took was 1998, then he is behind. Fortunately, the best dentists in Mexico keep up with the latest advancements and technologies. They take courses not because it is required; they take courses to keep up with competition. Some dental tourism spots such as Los Algodones have some many dentists in one square mile – the last estimate is 400. Reputable dentists in Los Algodones take the latest courses to remain competitive in implant dentistry, surgery, and cosmetic dental work. We have personally met hundreds of dentists in Mexico over the past few years as we continue to pre-screen dentists to be part of the Dayo Dental Network. The best dentists in Mexico don’t prioritize nice cars and fancy houses. They invest their money in advanced continuing education both in Mexico and USA. Choose a Mexico dentist that takes regular courses in advanced dentistry, especially for the type of procedure you need. 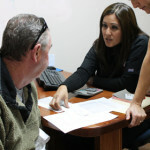 CareCredit, the most popular dental financing in the US, does not finance dental work done in Mexico. Mexico dentists don’t have access to good dental financing, unlike US or Canadian dentists. CareCredit doesn´t work in Mexico. We have lobbied CareCredit to offer financing in Mexico. Unfortunately, good medical financing simply won´t cover dental work done abroad. Sure, some dental offices in Mexico advertise “Financing Available”. But these typically are the types of money trap financing. First of all, you have to have high tier credit score. Second, you pay interest rates upwards of 20-30%. Third, they charge you an extra flat fee or percentage of the financing cost. We’ve tried working with these financing companies. But, we learned quickly that it just takes advantage of our clients. Some of them are just a front to offer you high interest credit cards. Fortunately, dentists in Mexico are a lot cheaper the USA dentist. Maybe you have enough. For major dental work such as implants, you pay for your dental work spread over a few months. If you need financing, try your local bank or credit union for some type of medical financing. They offer better terms. You can also use your low interest credit card as a last resort. This is a sample problem implant from a patient who went to Mexico for dental work. In this case, the implant will fall off. Be meticulous when choosing who will work on your dental implant. There are good dentistry and bad dentistry anywhere you go – whether it’s in the US, Canada or Mexico. You just have to do your research. We get clients from the US who need help fixing their dental work from a bad US dentist. Sometimes you are left with no recourse with bad US dentists. Similarly, you are likely not going to get a refund if you end up with a dishonest and bad dentist in Mexico. It´s hard to sue them as well. Some Mexico dentists that guarantee their work don´t stand behind that guarantee when the situation gets tough. Either they can’t fix their mistake or they don´t want to spend the money to redo your work entirely. It´s unfortunate. Your best bet is to be selective with your choice of dentist to prevent this situation from happening. We formed our company Dayo Dental to prevent patients from getting bad dental care in Mexico. First of all, we screen for only the top 5% dentists in Mexico. Then we make them guarantee your dental work. If you have any guarantee complaints, we work with you and your Mexico dentist to resolve the situation. But we usually don’t get that far. We have a zero-mistake policy with the dentists in our network. We remove any Mexico dentist that receives 3 major and verifiable complaints. That’s how we ensure you are seeing an honest and qualified dentist that will stand behind your dental work. By keeping our dental network small, many dentists in our network receive a big part of their clientele from Dayo Dental. They strictly adhere to the requirements of the dental network. Don’t pay for all your dental work upfront. Just pay for the portion that’s being done. Do you need a passport to cross the border to see a dentist? Yes. You can get a passport or passport card. Last, we can’t discuss the pros and cons of Mexico dentistry without discussing your need to get a passport. Yes, you are going to be crossing the border to get dental work in Mexico. You´ll need to present a passport to go back to the US. It takes about 4 to 6 weeks to get passport if you submit a regular application. If you expedite, you can get it in 2 to 3 weeks. Here´s a detailed article about the passport requirement: Do I need a passport to go to a Mexico Dentist? If you have a regional passport location in your area, you can set an appointment to get a same day passport. You just have to present a proof that you have an appointment with a Mexico dentist. Here´s a link to regional passport centers: US Regional Passport Centers. You can explore our Mexico dental blog to get dozens of tips about visiting a Mexico dentist. Are you ready to visit a Mexico dentist? Call Dayo Dental at 877-987-3296 to set up an appointment with a top dentist in Mexico. We’ll be happy to guide you from start to finish.